Wolli Creek Valley provides good habitats for many species of reptile. If you look carefully, they can be found on the forest floor, hiding in rocks or down by the water. The Australian Museum also hosts the Australian Encyclopaedia of Reptiles, a great online resource that is presented in a series of PDFs. The site is updated weekly and includes a massive bibliography of reptile resources. The Copper-tailed Skink (Ctenotus taeniolatus) is a common Sydney species. It grows to about 20cm in length. The sandstone outcrops in the Wolli Valley offer favourable hiding places for this skink. This photo (right) was taken on the Turrella to Girrahween walk. 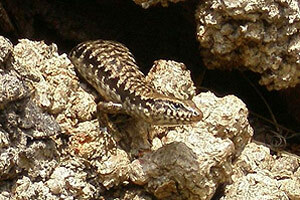 The Barred-sided skink (Eulamprus tenuis tenius) is generally a less common species. It is smaller than many other species – only growing to 16cm. It lives mostly in wet habitats such as rainforests and wet sclerophyll forests. This photo was taken on the Turrella to Girrahween walk. One of Australia’s favourite reptiles is the Eastern Blue-tongue Lizard (Tiliqua scincoides scincoides). It is also called the Eastern Blue-tongued skink and it is the largest skink found in Australia. The picture shows exactly how this reptile got its name! For more information on this lizard see the Australian Museum or Australian Reptile Park websites. 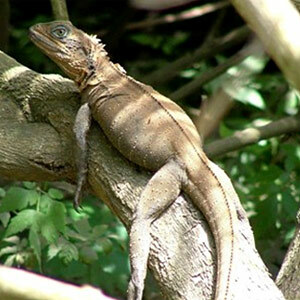 A large dragon found on the eastern coast, the Eastern Water Dragon (Physignathus lesueurii), grows to about 80 cm long.They range in colour from dark to light brown, sometimes with darker bands. They have a distinctive dark band along the side of the head from behind the eye. The one in this photo was spotted in January 2007 on the creek bank near Nannygoat Hill. It is an almost undifferentiated pale brown colour and without any of the strong markings usual to the species. 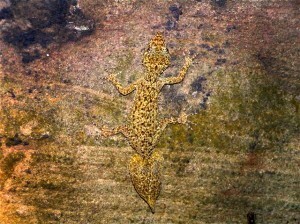 The pale brown colouring is the normal result of the lizard’s old skin lifting slightly before being shed and it was later spotted with her fresh, new skin. She is also pregnant. 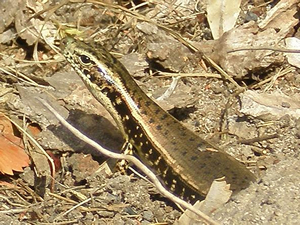 The Eastern Water Skink (Eulamprus quoyii) frequents streams and creeks in Sydney bushland. It is commonly seen by bushwalkers. It grows to about 25cm long. * For more information on this skink see the Australian Reptile Park website. The Red-bellied black snake (Pseudechis porphyriacus) is one of the most common in the Sydney region and is sometimes seen in the valley down near the creek line where frogs, their favourite prey, live. During the mating season, they sometimes travel further afield, maybe 50 metres or more from the stream. There have been occasional sightings at Bardwell Park, Undercliffe and Turrella Reserve. Red-Bellied Black Snakes are venomous, but they are very shy and would rather retreat than bite. They are rarely seen because they sense the vibrations of your approach. In fact the sightings have been a real thrill. 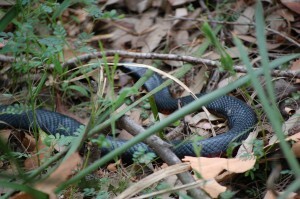 The snake pictured here was photographed by WCPS member Voren O’Brien in June 2007 in Turrella Reserve. Exercise caution if walking with children or dogs, as their smaller size makes death a possible outcome of a bite. If bitten by a snake, current first aid guidelines from the Australian Resuscitation Council include the application of a broad pressure bandage over the area as soon as possible, immobilisation of the limb and to bring transport to the victim if possible. Antivenom is available at hospital emergency departments and should be given as soon as possible. It is important not to wash the bite as venom left on the skin can be used to identify the species of snake. DO NOT attempt to kill the snake for identification purposes. 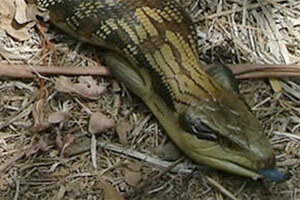 For more information on this snake see also the Australian Museum or Australian Reptile Park websites. Wilson, S & Swan G (2003) – A Complete Guide to Reptiles of Australia. Reed New Holland. This beautiful specimen was spotted at night with a flash under a rock overhang, not far east of Illoura Reserve. The Eastern Snake-Necked Turtle (Chelodina longicollis) is also known as the Eastern Long-necked Turtle. It is our most common freshwater turtle. The shell of the Eastern Snake-Necked Turtle grows to 25-30 cm long. The colours vary from fawn to dark brown or black on the top of the shell. The hatchling shells are about 3cm long and usually black with orange markings. They need water to survive and are usually found in swamps and billabongs, ponds and slow-moving rivers and creeks. Turtles may seem very secure in their armoured shells, but their most vulnerable time is during and straight after egg laying, until the nest site becomes undetectable. Parasites may destroy the eggs before they hatch. The hatchlings can be easy prey until they grow larger, so they need to be on their guard from eels, snakes, goannas, birds of prey or even crows, and mammals such as dingoes, foxes, pigs and rats. Live adult turtles have been spotted in Illoura Reserve, trying to lay eggs and finding it very hard going among the tough roots of Kikuyu grass. A number of clutches of eggs were found dug up and eaten, probably by foxes. 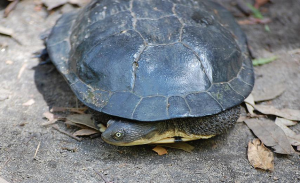 We are concerned for the future of the Snake-necked Turtle in Wolli. While they are a fairly common species on the east coast and live a fair while, females take about 9 years to reach sexual maturity, and fox predation could be limiting new generations. Also as a carnivore and high-ranking predator, these turtles act as a useful indicator of the overall strength of stream life that we wouldn’t want to do without. Awareness raising: A public display of the turtle on an RTA signal box opposite the M5 exit at Bexley North. The Eastern Long-necked Turtle lives in coastal and inland waterways and wetlands, from eastern Queensland to south-eastern South Australia. Freshwater turtles are sometimes called tortoises, especially in older books, to distinguish them from the marine turtles, which have flippers. Indeed, the name ‘Long-necked Tortoise’ is still often used for this turtle. In modern usage the distinction is made on the basis of main habitat. As an aquatic species, Chelodina is a turtle. Tortoises are truly land-dwelling, and Australia does not have any tortoises in the strict sense. The head and neck when fully extended are longer than the shell and can be retracted by folding sideways under the front of the shell. The four limbs are jointed and the feet are webbed with claws, four claws on the front. The colours vary from fawn to dark brown or black on the top of the shell, which is called the carapace, and white to creamy on the underside, called the plastron. When they feel threatened they can release a fluid from glands in their legs that smells quite foul; they are also known as ‘stinkers’ in the Murray area. They feed on crustaceans, fish, insects, plankton, even carrion, anything they find in and near the water. They are not picky eaters, but definitely carnivorous. Most turtles living south of the Queensland border hibernate in the winter months. They dig into the mud and can extract oxygen from the water through the skin. In summer, especially after rain, the Eastern Snake-Necked Turtle may migrate overland, for distances of 2 km or more, seeking new waterholes. They can also survive droughts by becoming inactive and conserving water until it rains again. This is called aestivation. The females are larger than the males. In the breeding season they dig holes above the waterline, about 12 cm deep and lay from 8 to 24 eggs, between late spring and early winter. The hole is covered with fresh earth and pressed down. When the young hatch, 3 to 6 months later, they have to wait for rain before they can dig themselves out. Then they head straight for the water. Cann J 1978 Tortoises of Australia Angus & Robertson. Cronin L 2001 Australian reptiles and amphibians, Annandale: Envirobook. Griffiths K 1997 Frogs and reptiles of the Sydney region, Sydney: UNSW Press. Thompson M B 1983 Populations of the Murray River Tortoise, Emydura (Chelodina): the effect of egg predation by the Red Fox, Vulpes vulpes. Australian Wildlife Research 10: 363-371. Vestjens W J M 1969 Nesting, egg-laying and hatching of the snake-necked tortoise at Canberra, ACT. Australian Zoologist 15 (2): 141-149. 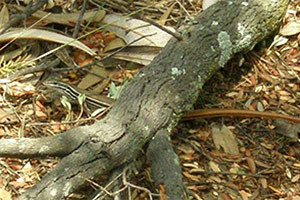 * For more information on this turtle see the Scribbly Gum, Australian Museum or Australian Reptile Park websites.